(Bhâgavad Purâna) 'The Story of the Fortunate One', ('Krishna Bible') by Krishna-Dvaipâyana Vyâsa, prepared for the Internet by Anand Aadhar Prabhu. The writer of this book is named Krishna Dvaipâyana Vyâsadeva, also called Bâdarâyana. He is the Lord, the bhagavân, amongst the philosophers, who in India assembled all the holy texts. He compiled the Vedas, also known as s'ruti, containing the basic wisdom, the mantras for the rituals and the hymns. He as well wrote the Mahâbhârata, which is the greatest epic poem in the world. It describes the history (itihâsa) of the great fall that the Vedic culture once made. The Bhagavad Gîtâ is the most important part of it. Vyâsa also wrote the rest of the eighteen great Bibles (the purânas) of India as well as the Brahma-sûtra, his masterpiece on the Absolute Truth. Vyâsa was a grandfather of the Kuru-dynasty. He lived a very long time. His long duration of life enabled him to write the story of the Fortunate One and all the other books. He had a son by the name of S'ukadeva who handed the message of this Bible down to another member of the family, Emperor Parîkchit, who had difficulty respecting the classical wisdom. This emperor is the model for us normal people who seek their stability in the wisdom. This knowledge was conveyed by S'uka in disciplic succession (paramparâ), to those who teach by example (the âcâryas), the science of devotional service (bhakti). This book, and it's culture, was brought to the West by the Vaishnava, the Vishnu-monk, Swami A. C. Bhaktivedanta Prabhupâda. Together with his pupils (known as the Hare Krishnas of ISKCON) he realized a verse by verse commented series of books covering the entire Bhâgavatam. This site offers not all these texts (see for that purpose vedabase.net) but does offer under ShareAlike copyright an as-it-is translation of the verses in a concatenated form complete with a version history. This text is regularly updated and maintained by Anand Aadhar Prabhu (René P. B. A. Meijer), a dutch psychologist converted to the philosophy of yoga who received instruction in the temples of ISKCON. His predecessor in this duty was S'rî Hayes'var das (Hendrik van Teylingen) who covered most of the translations into Dutch. The present responsibility for the culture of Vaishnavism in Holland lies with the ISKCON vaishnava-monk Kadamba Kânana Swami. Treasury: Music, pictures, downloads, and a very complete linking list of Vedic knowledge, by Srimad Bhagavatam. Srimad Bhagavatham Saptaaha Yajnam 17-23 March 2010 - Prashanti Nilayam, Puutaparthi, India. Bhaktivedanta Vedabase Network: all the BBT-books complete with purports and Sanskrit. Bhaktivedanta Vedabase Beta-1: A treasure of Spiritual Knowledge. Causeless Mercy - Esoteric Teaching: The Books of His Divine Grace A. C. Bhaktivedanta Swami Prabhupâda. The Bhaktivedanta Book Trust, founded by His Divine Grace A.C. Bhaktivedanta Swami Prabhupâda. The Bhaktivedanta Book Trust, publishers of timeless, transcendental classics and introductory texts on Bhakti yoga, meditation, karma, reincarnation, and vegetarianism. Canto Twelve, Chapter two: "The Symptoms of Kali-Yuga" in Srîmad Bhâgavatam, by His Divine Grace A. C. Bhaktivedanta Swami Prabhupâda. Sanskrit Documents: Purânâ: A site with links to many Puranas (with sanskrit). Selected Excerpts from Srîmad Bhâgavatam, with commentary by His Divine Grace A.C. Bhaktivedanta Swami Prabhupâda. Quotes from Srîla Prabhupâda: "Srîla Prabhupâda on Varnasrama and Farm Community Development"
About Swami Prabhupâda: A website about his life and teachings. (site also offering lectures in Audio). All books big and small of Swami Prabhupâda. Free downloadable on-line. Including the Caitanya Caritamrita, the Srimad Bhagavatam and the Krishna-book. A C Bhaktivedanta Swami Prabhupâda Network. Sri Caitanya Caritamrta - Krsnadasa Kaviraja Gosvami wrote Sri Caitanya-caritamrta in classical Bengali and Sanskrit. He was a great saint and a confidential disciple and student of Ragunatha Dasa Gosvami, a renowned ascetic saint who was one of the intimate followers of Sri Krsna Caitanya. This English translation and commentary, by His Divine Grace A.C. Bhaktivedanta Swami Prabhupada, reveals his consummate Bengali and Sanskrit scholarship, his intimate familiarity with the precepts of Sri Krsna Caitanya, and his pure devotion to the Lord. S'ri Caitanya Upanishad: (from the Atharva Veda); with Sri Caitanya-Caranamrita commentary by Srila Bhaktivinoda Thakura. Locana dâsa Thâkura: SrI Caitanya-mangala: Book on the life and mission of Lord Krishna-Caitanya Mahaprabhu (300 kb zip-file). Vrinda: Vrindavan Institute for Vaisnava Culture and Studies. This is the story of Srila Prabhupâda told in words and pictures, mainly from the Srila Prabhupada Lilamrita by Satsvarupa Das Goswami. 200 lectures on the Bhagavad Gita as it is in Real Audio, starting February 19, 1966 in New York. The Eighteen Purana's: an overview. The Swami Prabhupada version of the Srimad Bhagavatam: "The Story of the Fortunate One" by Krishna-Dvaipayana Vyasa. (free downloadable from the Hare Krishna Temple). The Ten Subjects of Srimad Bhagavatam: by J.N. das. Vaishnava Internet News Agency: 1-20-2001. BBT: The Bhaktivedanta Booktrust catalogue. The Hare Krishna site (ISCKON) where one can order the printed version of the Srimad Bhagavatam with the extensive commentary of Swami Prabhupada. Bhaktivedanta Library Services. Carrying Srila Prabhupada's Teachings in to the 21st Century. The Path of Yoga. On-line free e-book presented by the Bhaktivedanta Book trust. His Divine Grace A.C. Bhaktivedanta Swami Prabhupâda explains that beyond the postures and exercises, the ancient teachings of yoga aims at lasting, loving union with the supreme. Short biography of His Divine Grace Srila Bhaktivinod Thâkur. Bhagavata: Srila Bhaktivinod Thâkur: supplement to the Bhâgavatam. Article on: Studies in Life Sciences Explanation of the processes and principles of life as described in the Bhagavata Purana. Principles of Matter and Spirit . Uddhava Gita: canto 11 chapters 6-29. History of the Parampara, the disciplic succession that stimulated the translation of the Bhâgavatam. (see also ISKCON about this). Saranagati: Devotional Conclusions from the Treasure Chest of Srî Caitanya. Vedic Age, Gaudiya Vaisnava Acaryas, Vaisnava Sampradayas, Madhva, Ramanuja, Sri Narasingha Caitanya Matha. Krishna The Divine Lover in Indian Art: Article. Vedic Art Gallery: pictures of the hindu Gods. Black Peacok: Indian Miniatures & Gaudiya-Vedanta Philosophy. The Black Peacock features gallery showings of art miniatures and archecticture from India. Reality, the Beautiful: the classical paintings of ISCKON made by Drigha Dasi. ISKCON Communications Journal: Read articles from ISKCON devotees. Is this Hinduism? A critical review of the selfdenial of the Hindu. ISKCON: The official Website of the International Society for Krishna Consciousness. The Hare Krishna Movement. Website New Zealand Hare Krishna - Spiritual Resource Network. S'rîmad Bhâgavatam lectures by Dinadhyâtmâ Prabhu. Krishna.com - Here you'll find resources for self-realization, God realization, and spiritual life as found in the teachings of Lord Krishna. From the Bhaktivedanta Book Trust, founded by His Divine Grace A. C. Bhaktivedanta Swami Prabhupada. Introduction to the Upanishads, vol 1. Includes the Preface to the Sacred Books of the East, Program of a Translation of the Sacred Books of the East and the Introduction to volume 1 of the Upanishads. Introduction to the Upanishads, vol 2. 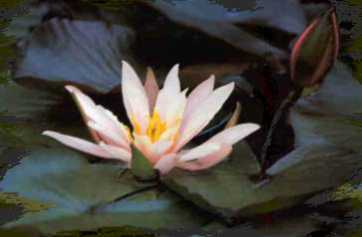 The Upanishads online of onlinedarshan.com: thirteen in English. Upanishad Vahini: Bhagavan Sri Sathya Sai Baba discusses the essence of the Upanishads (download 139 Kb). Mysteries of the Sacred Universe. The Cosmology of the Bhagavata Purana. The Laws of Manu 1500 B.C. Introduction to Manu-Samhita by His Divine Grace A.C. Bhaktivedanta Swami Prabhupâda. Saragrahi. Site devoted to the encouragement of the saragrahi mentality primarily in relation to the philosophy, theology, and sadhana of Gaudiya Vaishnavism as presented by the acharyas Srila A.C. Bhaktivedanta Swami Prabhupada, Srila Bhaktisiddhanta Saraswati Thakura, Srila Bhaktivinoda Thakura, and the Six Goswamis of Vrindavana. Lord Balarâma's Appearance day: links and text to the honor of Balarâma. (Swedish) Veda: Detta ‰r nÂgra religiˆsa skrifter frÂn det antika Indien. Inte sÂ mycket ‰n, kanske, men det kommer nog upp mer och mer ska ni se:). Bhagavad-Gîtâ, Srîmad-Bhâgavatam. Kanda Puranam: or Tamil version of the Skanda Purana. Mathura-Vrindavan: In eternal glory of the Lord. Hare Krishna New Zealand - Spiritual Resource Network. Pure Bhakti: with many books to download. Our aim and object is to present the ancient wisdom of the Vedas (the world's oldest philosophical texts) in it's pure and original form for the benefit of all mankind without regard to gender, race, creed, nationality or any other temporary material distinction. Pure Bhakti Yoga is the eternal science of the soul, and the process of realizing our true nature and our eternal position, as part and parcel of the Original Creator known in all the Vedic literature as Sri Krishna. By the process of Bhakti Yoga we can attain true and eternal happiness in our true home, Sri Goloka Vrindavan. S'rî Brihad Bhâgavâtamrita of S'rîla Sanâtana Gosvâmî in English, Part I and II. The Prabhupada Connection. Dedicated to His Divine Grace A.C. Bhaktivedanta Swami Prabhupada, Founder-Acarya of the International Society for Krishna Consciousness. Songbook of 62 Bengali songs by S'rila Bhaktivinoda Thakur (published in 1880). Time Quotes Bhâgavatam: all quotes on the subject of Time put together. Dharmakshetra: Site dedicated to Swami Prabhupâda, presenting information about various Vedic subjects. Vaisnava audiobooks: read out in mp3 of books from Bhaktivinoda Thhâkur and Bhaktisiddhânta Sarasvatî Thhâkur and other vaishnava's. Includes the Gîtâ in Sanskrit. Bhagavata.org: SRIMAD BHAGAVATAM (Bhagavata Purana); the story of Krishna. One of the most important classics of India describing the life and times of Lord Krishna. It is verily the Hindu Bible. Bhagavata.net: the Book, the Lord and the Devotees. Here one finds everything about Bhagavata the Lord, Bhagavata the Book and Bhagavata the devotee. Krsna Art: Devotional Paintings made available to devotees worldwide. - Search for the paintings by artist. A vaishnava version of Pânini's grammar: Harivenu Dâsa - An Introductory Course based on S'rîla Jîva Gosvâmî's Grammar (pdf-file). Sri Vrindavan Dham: Description of holy places in Vrindavan, images, texts, and stories of Vrindavan". Balagokulam: Online resource on Hindu dharma for kids, teachers and parents. Vrinda: Vrindavan Institute for Vaishnava Culture and studies. Bhaktivedanta Ashram - Samsthapaka Acharya - His Divine Grace A.C. Bhaktivedanta Swami Prabhupada. Vaisnava.cz: The Hare Krishna Inspiration. Music and mantras, deities and temples, India's holy places. The Higher Taste - A guide to courmet vegetarian cooking and a karma-free diet by The Hare Krishnas. Based on the Teachings of His Divine Grace A.C. Bhaktivedanta Swami Prabhupada Founder-Acarya of the International Society for Krishna Consciousness Recipies. World Vaisnava Association - "Founded in 1994 by 33 Sannyasis and members of 19 Vaisnava missions in Vrindavan on 18 November, 1994 with the first President Param Pujyapad Srila Bhakti Pramode Puri Maharaj, the World Vaisnava Association creates a common ground for all Vaisnava Missions to share their services." Damodara: A fun Krishna-site for Children. Telugu Bhakti pages with transliterations and audio. Cooking with Kurma: Kurma Dasa, one of the world's leading proponents of pure and natural delicious vegetarian cuisine and known as 'Australia's Vegetarian Guru'. Tele Radio Krishna Network: Virtual Temple; Welcome to the portal of RKC - TRKN, based on the teachings of His Divine Grace Bhaktivedanta Swami Prabhupada, founder of the Hare Krishna movement. Jagannatha's Chakra: Chakra - Committed to open-minded, inclusive and compassionate Krishna Conscious News, Views and Discussion". Bharatadesam: 'Information about India' - That's what 'Bharatadesam.Com' is all about. Here you can find sections dealing with Indian Government, Military, History, Arts, Culture, Biographies of notable Indians, Important Places in India, Scriptures like Vedas, Upanishads, Bhagavad Gita, Bhagavatam etc. Vignanam: As its name suggests, the purpose of Vignanam is to provide "Learn Something Today". The information on Vignanam is intended to be comprehensive enough for students, teachers, journalists and religious professionals, but also accessible and useful to those with only limited knowledge of religion. Vignanam therefore offers detailed articles and treatments of specialized topics as well as just-the-basics overviews, world factbook, terminology, spiritual etc. Watch all pictures of the S'rîmad Bhâgavatam. Hindu Tube: Hindu, Hindu.com, online social networking, video hosting, photo hosting, view, upload and share videos and photos. Hindu.com is a free online social networking site that also provides a free video and photo hosting service allowing users to view, upload, and share videos and photos. Dandavats: The website that will fall over to serve you. Krishna Tube: Sharing Video about Krishna and His pure devotee His Divine Grace A.C. Bhaktivedanta Swami Prabhupada, Founder and Acharya of the Hare Krishna Movement. Sri Sri Radha Shyamsundar Temple - which houses the most unique Deity - Sri Shyamsundar - Deity manifested from the lotus heart of Srimati Radharani. Vanipedia - The encyclopedia of His Divine Grace A.C. Bhaktivedanta Swami Prabhupâda's teachings. Distribute Books. Mission: We serve the devotee community by sharing inspiration, resources and support for the distribution of transcendental literature. The concise S'rîmad Bhâgavatam - door Venkatesananda (Swami). Krishna: the Beautiful Legend of God: (Srimad Bhagavata Purana Book X), Boek 10 by Edwin F. Bryant, Anonymous. The Heart of Hinduism: The Eastern Path to Freedom, Empowerment and Illumination by Stephen Knapp. NITAAI VEDA: The Comprehensive Vedic Knowledge Base. Holy Books Translated, Composed & Published by Many Wonderful Devotees. Compiled By Devotees of Lords Nityananda Gauranga. ISKCON Desire Tree - Devotee Network: Connecting Devotees Worldwide. [new] S'rîmad Bhâgavatam 3rd. version in PDF downloadable, by Anand Aadhar Prabhu, on ISSUU. Het Bhâgavatam voor kinderen voorgelezen. Krishna voor Kinderen: Krishna en Balarâma. Uitgeverij Aadhar: Uitgeverij Aadhar geeft de boeken, de muziek, de CD's en de CD-roms uit die onderdeel uitmaken van de site de Orde van de Tijd. Uitgegeven worden media met een wetenschappelijke, spirituele en religieuze strekking. Doelstelling is het bevorderen van de kennis en de culturele integratie op bovengenoemde gebieden. Krishna en de Zingende Filosoof. De muziek en filosofie van de Caitanya-vaishnava's gearrangeerd voor harmonium en zang, door Anand Aadhar. Krishna en de Zingende Filosoof: songboek. (172 kb, met vertalingen en akkoorden). Radhe Radhe: De Hare Krishna-beweging staat ook bekend als de Gaudiya Vaisnava-traditie. De volgelingen van Sri Caitanya Mahaprabhu, met name degenen die afkomstig zijn uit Gauda, Bengalen, worden Gaudiya genoemd. Sri Gaudiya Vedanta Samiti is een authentieke tak van deze klassieke filosofische school. Ook in het Engels. Vedisch Cultureel Centrum Govinda - Ontdek spiritueel India in Antwerpen [zie ook www.iskcon.com]. Sri Radha Ramanaji Asram - Sri Hayeshvar Das (Hendrik van Teylingen) Boekrecensies. Tijd Citaten Bhâgavatam: alle citaten over het onderwerp van de Tijd bij elkaar. Harinâma in Nederland [harinâma: het gezamenlijke zingen van de namen buiten op straat]. De agenda voor de harinâma's voor de volgende 3 maanden. Audarya Dhaam: Iskcon Hare Krishna Tempel Rotterdam. Bhagavata.org: SRIMAD BHAGAVATAM (Bhagavata Purana); het verhaal van de Fortuinlijke (Krishna). Een van de meest belangrijke klassieken van India die het leven en de tijd beschrijft van Heer Krishna. Het is waarlijk de Hindu-bijbel. Bhagavata.net: het Boek, de Heer en de Toegewijden. Hier vind men alles over Bhagavata de Heer, Bhagavata het boek en Bhagavata de toegewijde. S'r'î Hayesvar Das: Een dichter, een Toegewijde (en zijn werk).